Delhi Chief Minister Arvind Kejriwal yesterday said his government kept under check the mushrooming of private schools by setting up state-run institutions that imparted quality education to poor children free of cost. 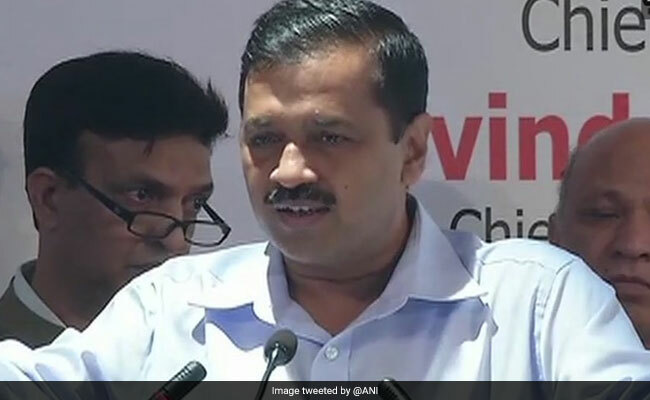 New Delhi: Delhi Chief Minister Arvind Kejriwal yesterday said his government kept under check the mushrooming of private schools by setting up state-run institutions that imparted quality education to poor children free of cost. The AAP dispensation has completely changed government schools where the standard of education was earlier in a bad state, he claimed at the launch of a web portal for the 'Loan Guarantee Scheme and Scholarship'. The scheme provides loans to needy students through banks and the government takes their guarantee. The Chief Minister claimed that since the AAP formed government, there have been "revolutionary" changes which were being discussed globally and in the country. "Earlier, government's schools were deliberately being deteriorated in a systematic manner and the entire education sector, be it primary, secondary, colleges and technical, was moving towards privatisation. "Fees of these institutions were so high that the common man could not afforded it. But since we came to power, we have changed the wave of privatisation of education in the country," Arvind Kejriwal said. He also said that people earlier did not "want to send their children to government schools" where the standard of education was bad. "When honest politics, honest people came to Delhi (government), principals, teachers and officials did a wonderful job in the last two and a half years, due to which the results of class 12 of government schools were better in comparison to private schools this year," the chief minister said. Arvind Kejriwal said, "We have prepared such a model where a child, whether from a poor or rich family, would get quality education free of cost." "This is happening for the first time that people are taking out their children from private schools and getting them admitted to government schools," he claimed.